Welcome to my personal portfolio! 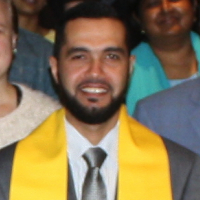 My name is Ismail Fayed and I’m an English Lecturer and E-Learning Specialist with over 17 years of experience in the fields of teaching English, educational technology and teacher training.I like teaching and education and most recently developed an interest in entrepreneurial and critical thinking strategies. There are many things to personally learn in this world, but I would like here to tell you a little about myself.. 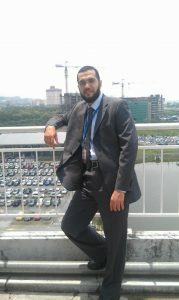 In the past, I have worked as an English Lecturer in the Foundation English Program at Qatar University. I also volunteered with international teacher training communities such as TESOL, Qatar TESOL, TESOL Arabia and Egypt TESOL. I have a PhD in Educational Technology from the University of Science Malaysia and a MA in Educational Technology and TESOL from Manchester University. Prior to that, I completed a two year post-graduate professional diploma from Ain Shams University and a BA in Education from Mansoura University in Egypt. With a vivid interest in educational technology, I have worked in several voluntary, mobile learning and educational technology research projects including e-learning, Web 2.0, media production and most recently m-learning. Some of my key skills and professional interests I enjoy beside teaching English include organizing e-learning professional development events for my colleagues. I have conducted over 200 conference presentations, workshops and training events over the past 18 years.. This normally included topics related to Educational Technology, Educational Research, mobile learning, computer assisted language learning, instructional design and TESOL topics. Moreover, I have been involved in several educational committees and ELT consultancies for international organizations and some higher education institutions. Enjoy watching some creative teachers in action! In these live teaching videos, you will be able to review some of the common and successful basic methods to maintain a successful teaching lesson. The video list covers most of the key language skills presented in most classroom settings. I would love to hear from you. Contact me now!